Apparently, the Chairman of the Nuclear Regulatory Commission, Gregory Jaczko, is coming to check out the troubled San Onofre Nuclear Generating Station tomorrow, Friday, April 6th. In response, leaders of local community groups are holding a press conference near the facility on Friday, April 6th at 10am. 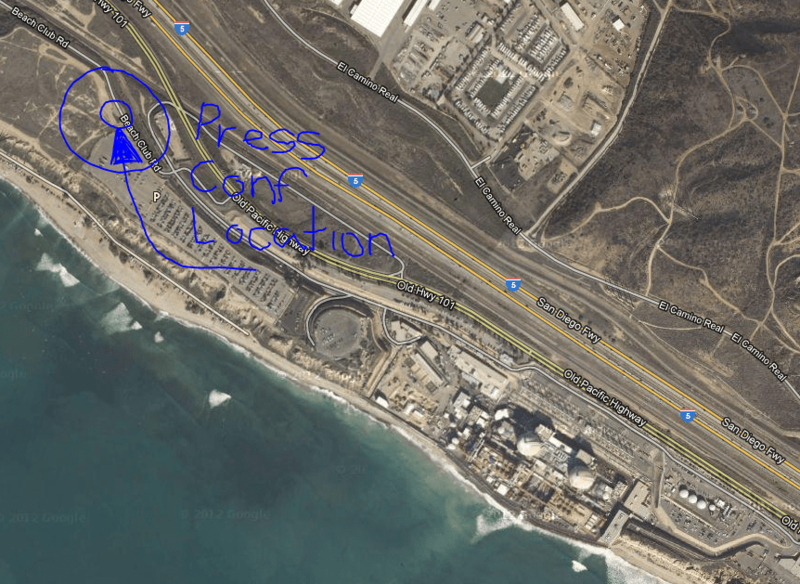 The location of the press conference will be near the San Onofre State Beach guard shack on Beach Club Road. These activists are asking supporters to join them at the nuke facility with the message of “Shut Down San Onofre” and hope that people will bring signs and banners.